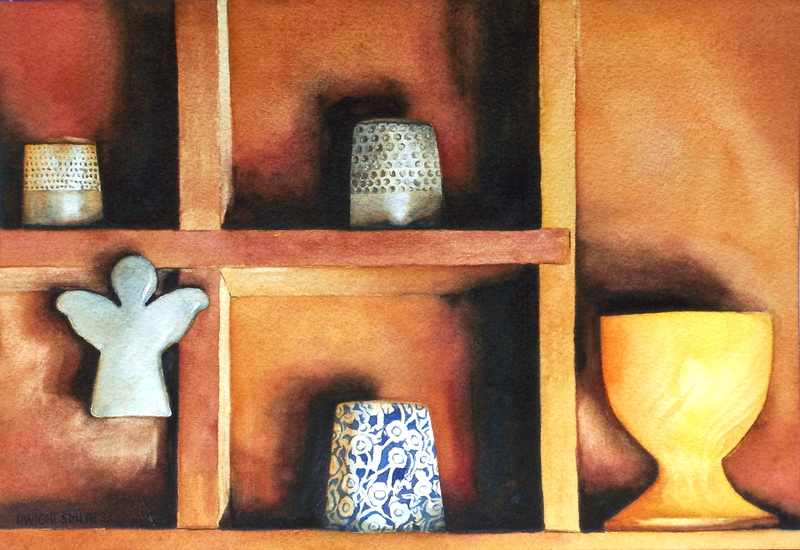 ” FLOATING ANGEL ” is an original still life watercolor painted in the realist tradition. My wife has several shadow boxes that contain her thimble collection. watercolor. As far as I know. Thanks for visiting my art.